Happy Friday everyone! Thought I’d give a boost to your weekend by holding another amazing giveaway :). 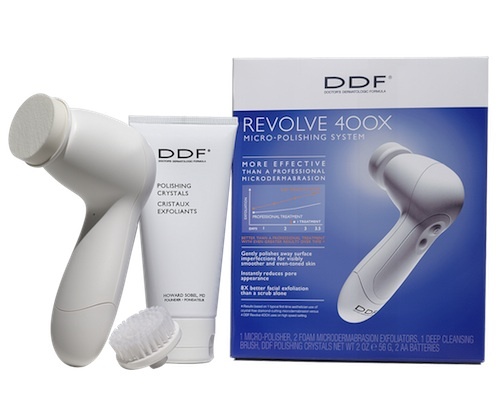 To get your skin holiday-ready, I’m giving away a DDF Revolve 400X Micro-Polishing System, which promises professional-grade microdermabrasion — right at home. No really…in tests, they compared a diamond-cutting microderm session that you would get at an esthetician’s office to this DDF device and found the latter to be even more effective at exfoliating, improving skin tone and evenness, pore appearance, fine lines, and overall skin brightness. Women who participated also found that after just four treatments, there was smoothing of bumpy surfaces and improvement in overall skin texture. Even better, it’s lightweight, travel-friendly, can be used in the shower, and is a fraction of the price (the kit costs $98). But enter today’s giveaway to get it free . MAKE SURE to leave a comment below letting me know how you entered (either on FB or with your Twitter handle). Winner will be announced on Tuesday, December 18th. Thanks for entering and good luck!! Way back when, I wrote a post about my skincare routine and mentioned the discountinued Acne Spot Treatment from Avène’s that I’ve been desperately looking to replace. I’ve been pretty diligent about taking care of my skin lately (to come: a new cleanser from the just-launched brand M-61 which kept my skin clear while it lasted). But one little slip and I found a couple zits popping up — in this case, it was using a makeup-remover wipe that didn’t work with my skin. I was rummaging through some products that I haven’t even gotten around to trying out and came across Kate Somerville’s 24 Hour Pimple Punisher (damn I love that name). The spot-treamtent is a double-ended tube — one side for its AM Blemish Clearing Gel with peptides and tea tree extract, and the other for its PM Acne Treatment Clay with salicylic acid and green kaolin clay to absorb excess oils. The formula’s pretty hydrating so it didn’t irritate my skin and the AM gel easily wears under makeup without bunching. Happy to report, a day and a half later, my zit was gone and I found my new go-to spot treatment. The Pimple Punisher will cost you $28 which is a bit on the pricier side but if you’re only going to use it occasionally for those random zits, it’ll last a while. Also, I thought the sleek packaging would make it ideal for travel, but I’ve been reading online that it actually doesn’t stay together very well (apparently the tube breaks off its cap easily?). I haven’t experienced this since I just use it from home but maybe something to consider if you’re on the go often. What do you use for emergency spot treating? I also thought it was interesting how her voice kind of perks up as she starts getting closer to the finished look. But man, gorgeous girl with or without makeup. What do you think? You might be surprised to find that as much as I write about about beauty, I’m horrible about getting myself to the spa. 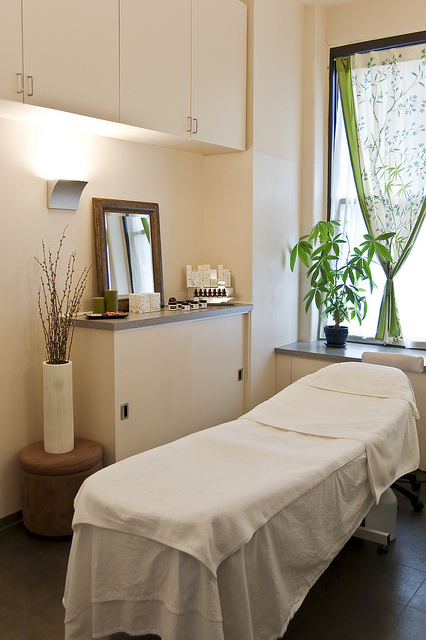 When I first moved to NY, I was regular about monthly facials…that is, until my lady moved away and I never made time to find someone to replace her. 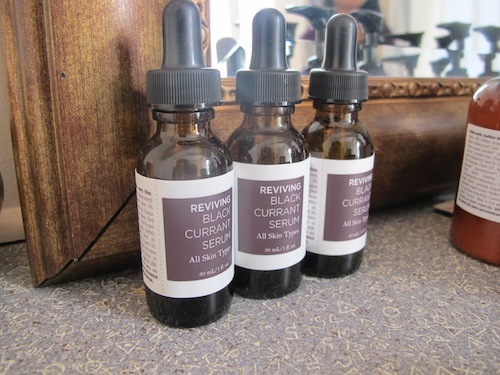 Enter Cecilia Wong, an NYC-based skin care expert whose focus is holistic and natural treatments. And if there’s anyone who believes about the strong connection between food and beauty, it’s her. I was invited to get a facial at her spa in Union Square, and after 12 hours on a plane from Argentina back to New York, it couldn’t have been a more perfect time. I was set on trying out her Omega and Vitamin C treatment, a hydrating lymphatic facial designed to brighten and soften skin. When I got there though, I first had a quick consultation with Cecilia and we discussed some of my other issues, including dreaded breakouts. She asked me about my skincare routine and I told her about my love for argan oil (she had no issue with that); but otherwise my biggest problem is that I’m not very consistent with a regimen and can find myself dealing with random breakouts. Cecilia (who by the way, also happens to have pretty large base of South Asian clients and is quite familiar with our skin concerns) suggested we try the Awakening Peel instead — an exfoliating treatment that uses organic fruit peel and LED Light Therapy (a mix of red for anti aging and blue for congest skin), and Black Currant-infused serums. Hey, she’s the expert, so I listened. While she was doing my facial, she told me she herself had severe acne issues from the age of 15, which, sidenote was pretty shocking because I dare you to even find a blemish on her face. 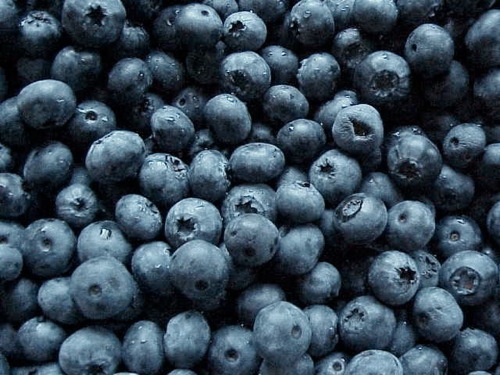 Her mother recommended she change her diet, focusing more on fruits and vegetables, and she began experimenting with DIY-face scrubs and masks made of papaya and blueberries. Slowly but surely, her skin started getting better. 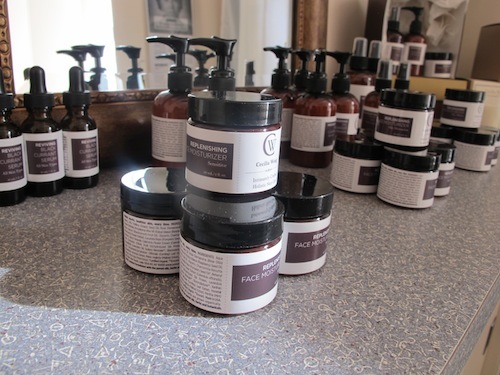 From then, she was inspired to experiment with different ingredients for skin care. 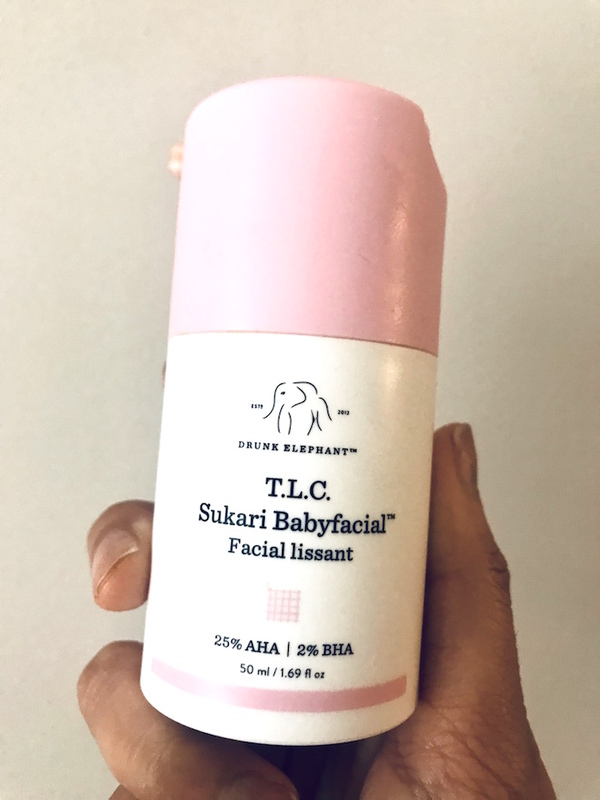 “Your skin instantly absorbs anything you put on it, so you want to limit the chemicals and irritants as much as possible, and replace it with natural and antioxidant rich ingredients,” she explained while I was getting my facial. She’s a big believer in also starting from the inside-out to alleviate skin issues — drinking plenty of water and non-processed foods. Til this day she says she juices daily! She believes it helps her skin majorly. In fact, her whole product line is inspired by her love for juicing. She designed her products to benefit the skin the same way juicing does the body (goodness in, toxins out). 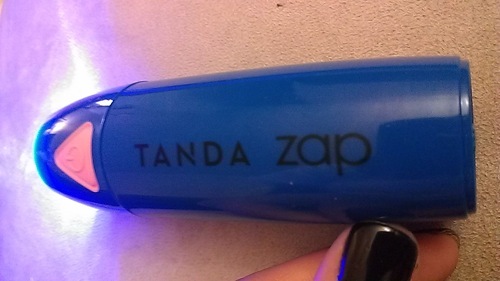 After some light extractions and a few minutes under the LED lights, my skin was seriously glowing and felt so soft. She wanted to make sure I kept up the maintenance and asked me if I was exfoliating at home, to which I fessed up and said “not really.” She told me wash my face only with water in the morning and to do some light exfoliating at night. She sent me off with a sample of her Exfoliating Milk Cleanser. I’ve been following the regimen religiously, and now, after as little as a week, I feel such a difference in my skin. For once, it’s behaving…scars have lightened and I’ve experienced no breakouts since. The mixture of exfoliating and the cold weather has left my skin a little dry, but I’ve re-implemented some argan oil to smooth out those issues. I love the holistic approach Cecilia uses: natural-based skincare coupled with updated technology (LED lights, micocurrent facials, ultrasonic therapy). Trust I’ll be back to the spa for more of Cecilia’s magic. *Mix ingredients together and apply to skin for 5 minutes, before rinsing with lukewarm water. *Mix ingredients together, apply to skin and rub lightly in a circular motion. Rinse with water. Are you big on facials? What are your biggest skin concerns?